There were two versions of the 'Flair' - this is 1957's 'Flair I', with point to point wiring. 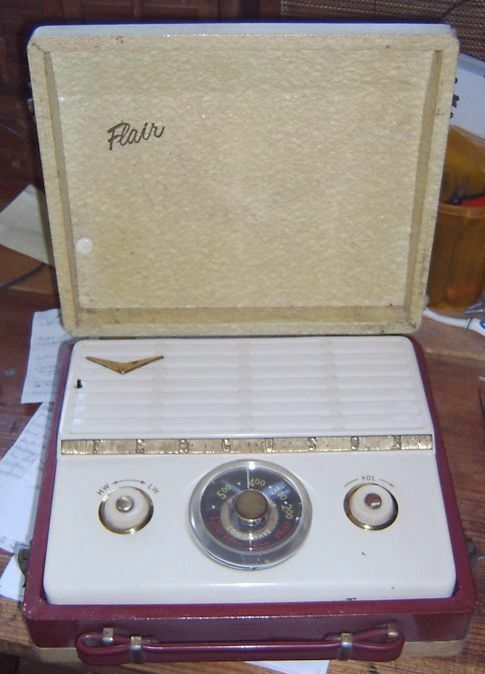 In June 1959 came a slightly revised 'Flair II' using a printed circuit board and a slightly changed deck layout. 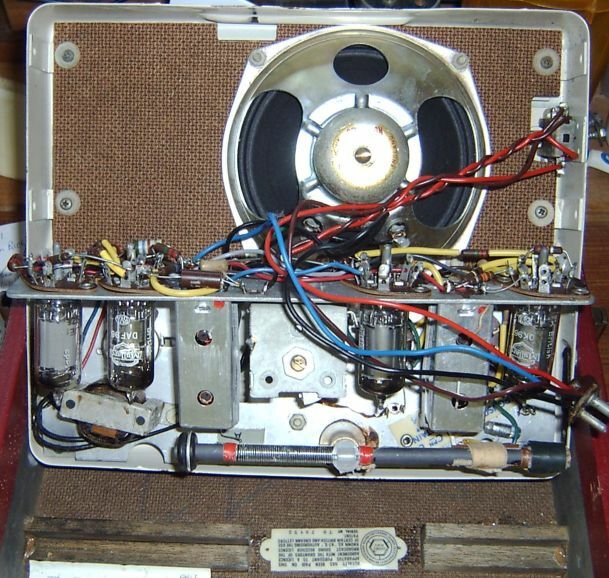 Both models were, in essence, 'budget' portables priced at under £10 and exhibit orthodox and mature circuits. The cases may look solid and feel heavy but under the deck it is cheap materials to hold down the price. Ferguson were later to mass produce Britain's first colour TV in the late 1960's - their factories in Enfield are now long gone.